Now You Can Shut Up Racist 13-Year-Olds In Halo: Reach! Are you Chatty? A Team Player? Polite? Bungie has revealed a ton of info about how multiplayer will work in Halo: Reach, including the ability to easily and permanently silence those racist pre-teens screaming slurs into your ear. At the beginning of the month, we made a post about a cool-looking Halo: Reach multiplayer trailer that showed off some of the new features coming down the pipe. Amidst all the BIG, IMPORTANT TEXT about what gamers could look forward to, though, one of the things was not like the others: What was "Active Roster," why was it deemed important enough to be included alongside features like Assassinations, and why should gamers give a damn? This week, Bungie posted a massive information dump on its community page answering that question and many more about how Halo: Reach's matchmaking is going to work. 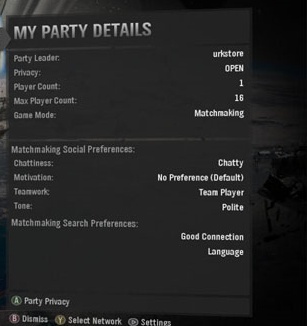 The Active Roster itself is cool - a hybrid between a traditional lobby/Party system and the Friend system built into Xbox Live that lets you easily keep track of which of your friends are online, who they're playing with, etc., but it doesn't exactly seem like a revolution. Some of the other stuff, though? Well, that's got me excited. Bungie is promising that players will be easily able to "Mute Ban" people who they'd rather not listen to (you know the type of player I mean). While I'm imagining a perfect world where the Mute Ban option resulted in Master Chief being dispatched to kick the offending racist teenager in the throat and crush his voice box, it'll probably just prevent anyone in the game from having to hear his verbal diarrhea, which works fine for me. There are some matchmaking options that seem so blatantly obvious, though, that it's a wonder that people didn't think of them before. You'll be able to set a rather wide range preferences: Do you want a game where people are playing to win, or a game where people are more interested in just being casual and having fun? Do you delight in talking smack, or do you want a more polite experience? If I tried to encapsulate every little thing that Bungie was announcing here in the news post, we'd be here all day - I do particularly like the feature that'll let you queue up to join a party of your friends if they're already in a game - so really, just go get it from the horse's mouth, eh? Reach is looking slick. The multiplayer beta is out on May 3rd. And jerkass griefers will begin falsely setting their preferences on May 4th.